This free family event will feature a variety of games, activities and special guest appearance throughout the building. 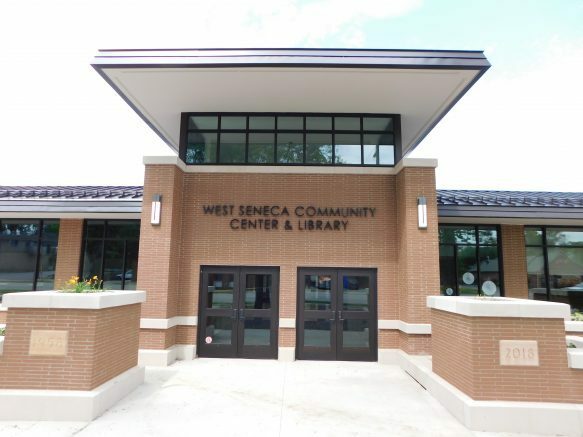 The West Seneca Chamber of Commerce, West Seneca Public Library, West Seneca Recreation Department and Spot Coffee will team up to host a fun-filled morning for children and families from 9 a.m. to noon Saturday, April 6 in the West Seneca Community Center & Library, 1300 Union Road. This free family event will feature a variety of games, activities and special guest appearance throughout the building, and is sponsored by the West Seneca Sun newspaper. Special guests will include members of the Justice League of WNY, Sabretooth from 10:30 to 11:30 a.m., officers from the West Seneca Police Department and others to be announced. Face-painting will be offered courtesy of the Western New York Federal Credit Union, while the Recreation Department will host scooter and potato sack races in the gym, as well as other games. More information about the event will be posted on the West Seneca Chamber of Commerce website (westseneca.org) and Facebook page (https://www.facebook.com/WestSenecaChamberofCommerce/) in the coming days and weeks. Be the first to comment on "Community Center & Library to host event for kids and families on April 6"